Digital solutions constantly make our everyday easier and our homes smarter. The latest example of an indispensable gadget for your home is the new smart lock from Danish company Friday Lock, which is designed by world renowned architect Bjarke Ingels. With Friday Lock, quality, functionality and Danish design come together beautifully to enable you to lock your front door digitally. The days of being home, when the cleaner has to be let in or fumbling for your keys with your arms full of groceries, are over. The new smart lock from Danish company Friday Lock is the smallest of its kind on the market and the first to be compatible with Bluetooth, WI-FI and Apple HomeKit. And no compromises have been made on the innovative design, which the world famous, Danish architect Bjarke Ingels is behind. “Friday Lock represents something entirely new in the smart lock category. Both with regards to aesthetics, security and usability. 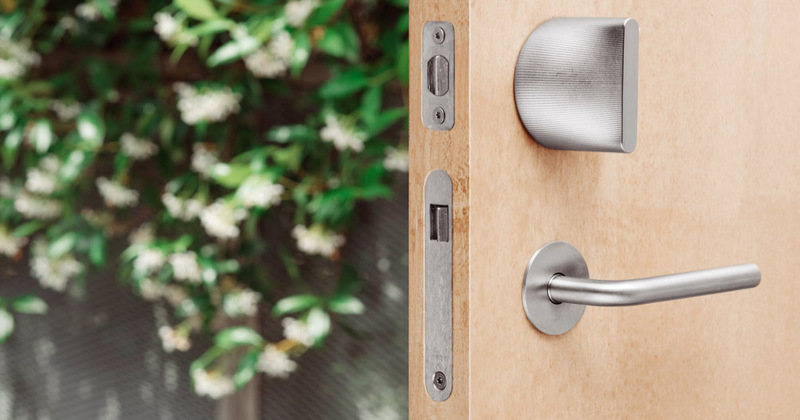 Friday Lock lives up to the highest security standards, is easy to install and beautiful to look at”, says Anders Bjørndahl, CEO and Partner at Playground, who distribute the lock in Denmark and the rest of Scandinavia. When the lock is mounted, you can choose who gets access to your home via your phone. Even if you are not home yourself. With a few swipes, you can grant access to your handyman, neighbor or cleaner at any time. You don’t need to give your house key to others, while also getting a complete overview of who comes in, and when they leave again. “Friday Labs have developed a product, that will undoubtedly make life easier for a lot of Danes. Both because you don’t need to be home, if you have a new washing machine installed, but also because the lock automatically opens via Bluetooth or Wi-Fi, when you approach your door. At the same time, you won’t have problems with your keys falling into the wrong hands, which raises security considerably”, says Anders Bjørndahl. Design and functionality go hand i hand. Created by Friday Labs in close collaboration with architect Bjarke Ingels, Friday Lock is the most beautiful smart lock on the market. It comes in a variety of natural materials and colors – from steel to porcelain. The design is also functional as most smart locks up until now have been both big and clunky. “The fact that Bjarke Ingels has been part of designing the lock is a testament to the quality, usability and looks of Friday Lock. Our homes are becoming more and more intelligent, but the design has to be there as well. Friday Lock is both incredibly practical and designed beautifully, so we believe that the lock will fulfill a need, that many Danes didn’t know they had”, Anders Bjørndahl concludes.